Pastor Robert was born in Halifax Nova Scotia and as a true bluenoser his desire is that God’s dominion would stretch from sea to sea. Robert’s wife Carolyn was born in the Ottawa area. Together they have pastored in Kirkland Lake Ontario, Dawson City in the Yukon Territories, Kitimat BC , Beaubier SK and presently in Southside Pentecostal Assembly Regina. During the past 25 years Robert & Carolyn have been very active in their communities. They believe that they need to meet people "where they are rather than where they would like them to be". With this philosophy they have the ability to nurture people into a meaningful relationship with Jesus Christ. Pastor Robert is a graduate of EPBC (B.Th.) 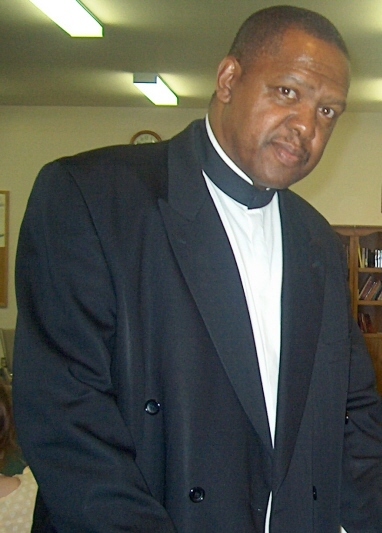 and has been ordained with the PAOC since 1993 and has been in full time pastoral ministry for more than 16 years. He has spoken in a variety of settings; retreats, family camps, seminars, youth functions as well as overseas training events. Robert and Carolyn eagerly make themselves available for speaking engagements outside of their local assembly. If you would like to have this dynamic couple join you for a retreat, camp, seminar or Sunday; please feel free to contact them. For more info on preaching engagements click here. Both Robert and Carolyn are giving leadership in the PAOC Saskatchewan district. Robert as presbyter for the southwest and as director of itinerate ministries; and Carolyn as the Women's Ministries Director. Carolyn, with a servant’s heart has a passion to see young children coming to a saving knowledge of Jesus Christ. Their four children Obadiah, Galilee, Abiathar and Malachi have also been influential in others coming to know Jesus - because once of age these children have committed their lives to Jesus Christ. Since joining the saints at Southside Pentecostal Assembly Regina as ministers; Pastor Robert & Carolyn have exemplified that they obey the great commission, reaching, loving, teaching and equipping people – while delicately bringing them to maturity and conformity to the image of Christ. Pastor Robert & Carolyn are motivated by a love for Jesus and a desire to see people say YES to Him! They desire that their community be greatly influenced for and by the One who said "I will build My Church and the gates of hell shall not prevail against it." Jesus Christ Matthew 16:18. Please pray for our pastor and his family. Ask God to grant them wisdom and understanding. If you get a moment why not send an email to encourage them and let them know you are praying for them. For more info and Pastor Robert click here!